“Newly Appointed CIA Chief Pompeo Met North Korea’s President Kim In A Secret Meeting”, Know How! CIA Director Mike Pompeo had met with North Korean President Kim Jong-un earlier this month which is believed to be the highest level meeting between the two countries in nearly two decades, US Media reported. 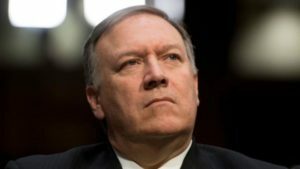 As per the news reports, Pompeo made the trip during the weekend of April 1 shortly after he was appointed as new secretary of state after removing Rex Tillerson. 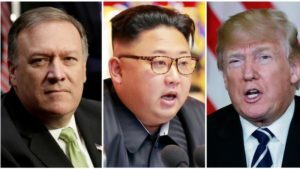 The Washington Post cited two individuals with knowledge of the trip that Pompeo and Kim discussed the planned summit between US and North Korea leaders. Earlier on Tuesday, Trump had asserted that the US was totally engaged in direct talks at “extremely high levels” with Pyongyang. Trump’s comments were clarified by White House Press Secretary Sarah, saying “the president said the administration has had talks at the highest levels and added that they were not with him directly”. Pompeo told the administration after the trip that it was worth continuing to look at the possibility of a summit, according to the Reuters news agency citing two US officials. Pompeo is reported to have addressed the Trump-Kim summit during a Senate confirmation hearing for secretary of state this week. “I’m optimistic that the United States government can set the conditions for that appropriately so that the president and the North Korean leader can have that conversation [that] will set us down the course of achieving a diplomatic outcome that America so desperately – America and the world so desperately need,” Pompeo said at the hearing with the Senate Foreign Relations Committee. If the story is true, then Pompeo’s meeting with Kim would be the highest-level talks between North Korea and the US since 2000 when then-Secretary of State Madeleine Albright met Kim’s father, Kim Jong-il. The United States does not have direct diplomatic relations with North Korea, but was in contact through indirect channels of communication. Trump accepted an invitation to hold a meet in March with Kim this summer. The invitation was made only after months of diplomatic standoff during which both the leaders were busy exchanging fiery military threats and personal insults. Along with that, on Tuesday, Trump gave his “blessing” for the scheduled inter-Korean talks for April 27. “Subject to a deal they have my blessing and they do have my blessing to discuss that,” Trump said.